As per market research company Forrester, the interaction of customer with IVR costs only six cents which is quite low as compared to interaction with live-agents which is in the range of $ 6-12 dollars. This fact reflects how companies can derive benefits through the implementation of a sophisticated IVR system. Major industries using this system on large scale include telecom companies, e-commerce portals, insurance companies and baking sector to name a few. Decrease in the costs incurred on customer service operation as dependency on agents is decreased. IVR helps customers to get information without involvement of any human. This makes customer more satisfied as the process becomes more personalized. Allows the company to conduct surveys which helps in tracking customer satisfaction. All these and myriad other benefits have paved the way for expansion of IVR systems in customer service operations. While choosing IVR software from IVR development service providers, it becomes extremely vital to ensure that the system possesses numerous features which are essential for long term use. It is because wrong judgment which choosing this process may result in increasing the costs and workload. Following are some of the points which must be considered by a company before choosing the IVR technology. A smart business owner understands the importance of modifying the processes as per the changing demands of the customer and market trends. The IVR is one such vital technology which requires modification on regular basis to meet the expectations of the customers. There is constant need to add or delete the options in the menu by analyzing their importance on regular basis. So, companies must choose an IVR system which has capability to perform alternations to suit these demands. Call center is a process which faces high variation in the number of calls during different time intervals. Holiday season is one such where a company receives countless number of calls. An IVR system implemented in the company must be able to handle this massive number of calls without technical errors. An IVR system is not limited to just greet the customer or deliver general information. Good IVR software is able to collect vital data of the customer. Benefit of automating the data collection using IVR is that errors which are caused due to manual data collection can be purged off using an IVR system. This data can be implemented by the company to obtain useful metrics related to customer service. The company while choosing the IVR technology must ensure that it can be integrated suitably with the existing software like customer relationship management (CRM) to ensure smooth running of all the processes in the firm. Annoyed customer is worst nightmare of any small or big organization. Now the question is – What actually irritates customers while using IVR? It is actually a complicated and unclear IVR menu which makes their issues more complex rather than solving them. So, it becomes the responsibility of the company to perform thorough analysis before finalizing the menu for IVR. Companies must choose a system which gives ability to design the different levels of IVR through which customers can navigate easily. While choosing IVR system, it also becomes highly important to ensure that firm providing IVR development service is a recognized brand with reasonable experience in the industry. It is because an expert in this field will understand the client’s requirement in much better manner. 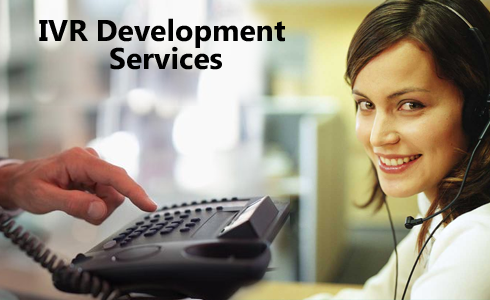 Also, the company must be capable of designing the IVR efficiently with suitable modifications as per industry needs. Doing an in-depth research on the target audience becomes mandatory before choosing the IVR software. It is essential to include the preferred languages of the end customers in your IVR menu. Also, if the customers are from Generation X, you have to make sure that the menu is extremely simple with high accuracy in receiving commands. Planning an IVR may sound like a simple process but it may result in failure if not done appropriately.it is therefore essential to plan the voice and music of the IVR while proposing its design. Also, loop should be avoided as much as possible while designing the menu. This planning helps in presenting the demands to the IVR service providers. A robust and flexible IVR will help in giving a satisfactory experience to your esteemed customers which will play a key role in retaining them. Also, an effective implementation is going to save a lot of money which can be invested in other important processes. So, make sure to be wise decision maker while finalizing the IVR for your customer support process of your company.